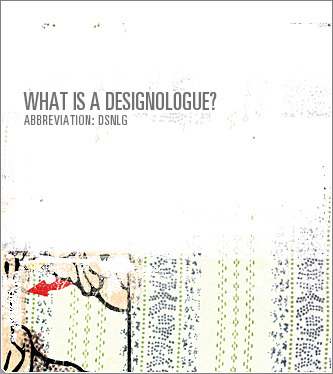 A designologue is a conversation between two designers in the medium they understand best - design. Comparisons can be made to Coudal's Photoshop Tennis where two designers alternately modify the others image using Photoshop. But instead of one designer versus another, the two converse. No winners. No losers. Just good conversation.